Innovation and heritage will come together like never before when the Royal Navy’s cutting-edge Wildcat maritime attack helicopter flies alongside the historic Swordfish torpedo bomber at this year’s RNAS Yeovilton Air Day on 13 July. The pairing makes up just one of the spectacular and memorable flypasts being staged within Air Day’s all-action flying display. Now being evaluated at RNAS Yeovilton both by the Royal Navy’s 700W Naval Air Squadron and the Army Air Corps’ Wildcat Fielding Team, the AgustaWestland AW159 Wildcat is a highly-modified version of the well-established and very successful Westland Lynx, featuring upgraded engines, a brand new tail, avionics enhancements and more. 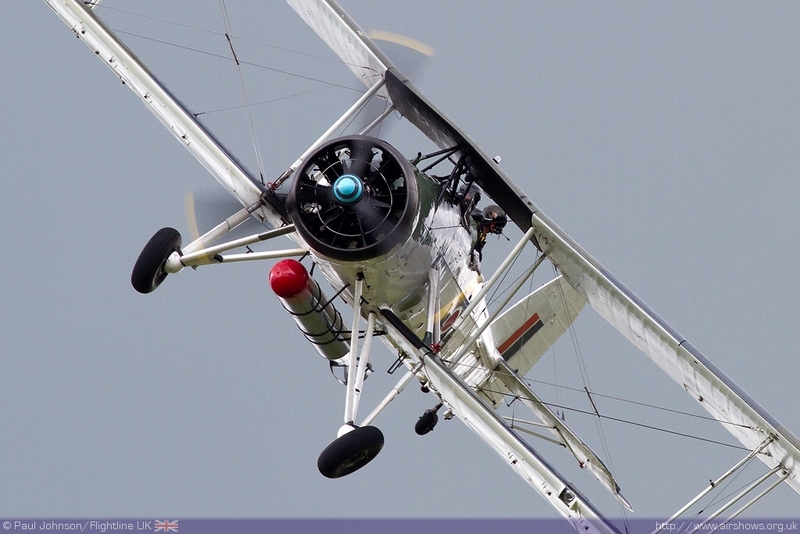 28 Wildcats are due to enter service in 2015 – almost 80 years after the Fairey Swordfish joined the Royal Navy in 1936. 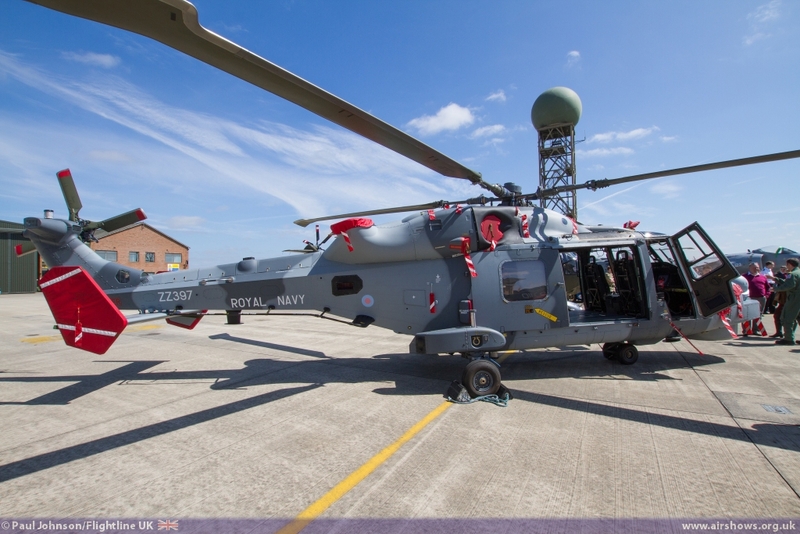 Nearly eight decades of naval might will thus be represented when the Wildcat and the Swordfish unite, while the Army’s own heritage will be showcased when their Wildcat variant flies past with its direct predecessor in Army Air Corps service – the Lynx AH9. Owned and operated by the Royal Navy Historic Flight, the Fairey Swordfish is best known for its attacks on the German battleship Bismarck and the Italian fleet in Taranto Harbour and especially for its long involvement in the Battle of the Atlantic, which reached peak intensity levels in May 1943: 70 years ago. Other historic naval aircraft taking part in Air Day will include at least one of the Flight’s Hawker Sea Furies, along with Kennet Aviation’s Douglas Skyraider and its Supermarine Seafire – the navalised version of the Spitfire. Currently at the end of a major engineering programme, if the Historic Flight’s Sea Fury FB.11 is ready in time, it will link up with the Flight’s Sea Fury T.20, the Skyraider and the Seafire to create a powerful naval quartet. Also participating in Air Day 2013 is the RAF’s Battle of Britain Memorial Flight. The Flight’s signature three-ship Lancaster, Spitfire and Hurricane flypast never fails to evoke a deep sense of nostalgia among Air Day’s visitors and we’re especially pleased to have the Lancaster involved, amidst this year’s Dambusters 70th anniversary celebrations. Air Day 2013’s other highlights include sensational debuts from the Czech Air Force Gripen and Swiss Air Force Hornet, yet more fast jet action from the RAF Typhoon and Belgian Air Force F-16, the RAF Red Arrows and the explosive Commando Assault finale. Throughout the day there will be plenty of family attractions including performances from the Royal Marines Band and the Military Wives Choir Yeovilton, a fairground, vehicle exhibition, service demonstrations, field gun competition, picnic areas, helicopter pleasure flights, simulator rides, trade stands and much, much more. Discounted advance tickets are available from www.royalnavy.mod.uk/yeovilton-airday or by calling the Ticketline on 08445 781 781.